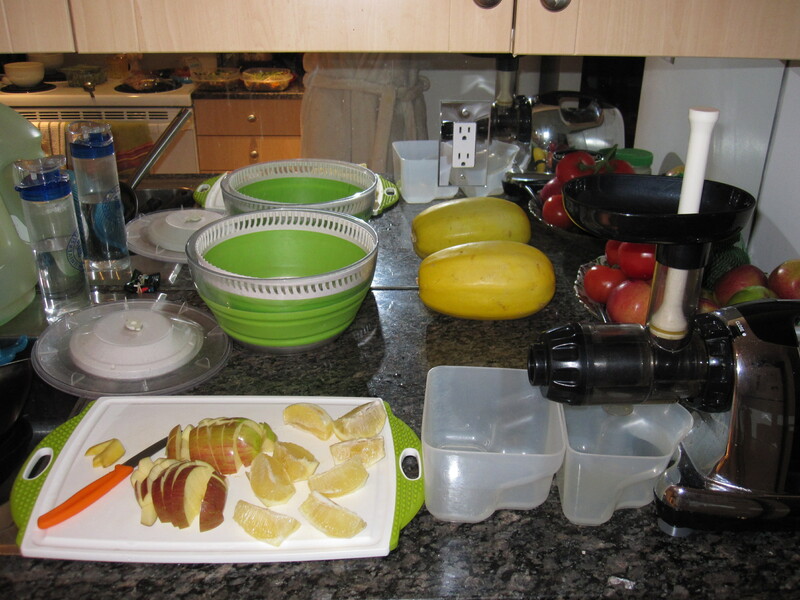 Our adventures with juicing started after a decadent and delicious Christmas holiday. We had enjoyed the company of our wonderful families, feasting on many holiday dinners and enjoying many warm memories and laughs with our loved ones while sipping on egg nog and hot sweet mulled wine. After a week of festivities, it was time to get back on track. We had the chance to watch Fat, Sick and Nearly Dead, a documentary about a young man Joe Cross, who was overweight and had may complications with blood pressure, high cholesterol, and high blood sugar, he turned his life around by embarking on a juice fast and challenging the nation to do the same. 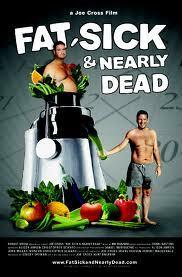 After watching this movie, we started doing our own research into the health benefits of juicing. Not only is it a quick way to ingest a wide variety of vitamins and minerals, but it it easy to digest and can be a good pick me up for an afternoon slump or first thing in the morning to get your metabolism going. I consider it an energy drink and it has allowed me to wean off caffeine and incorporate some fresh fruits and vegetables into my breakfast without feeling bloated. 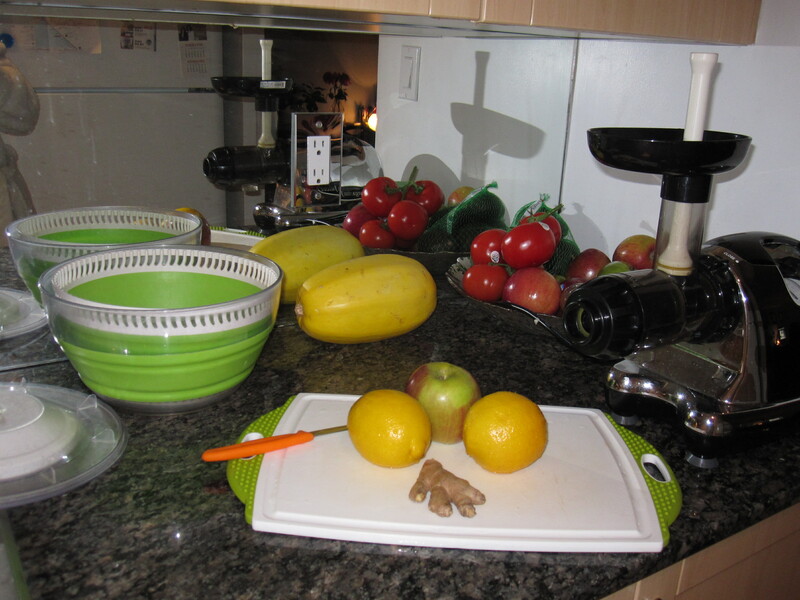 However, there are many people who would argue that juicing has many negative aspects. Firstly, the removal of fibre in the juice means that the natural sugars will be absorbed faster and thus, could lead to spikes in blood sugar. 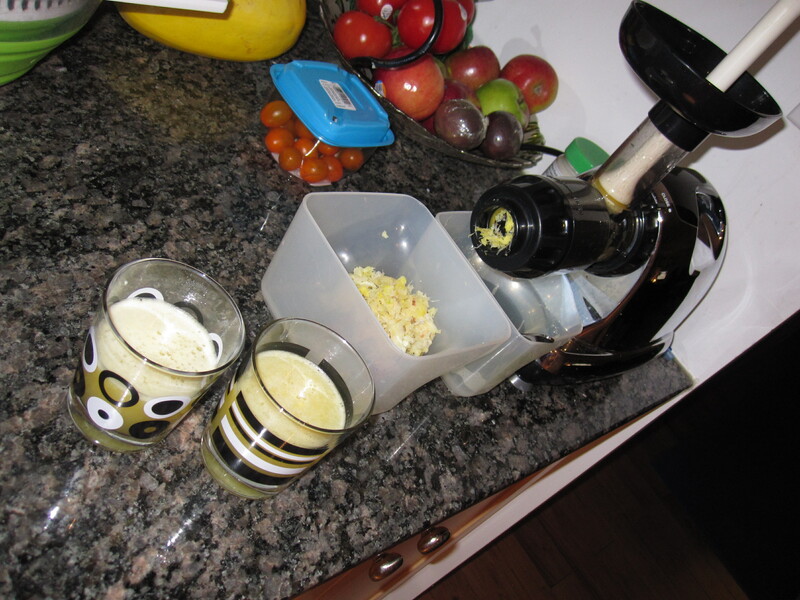 Also, the freshly made juice should be consumed right away after juicing for maximum nutritional benefits and to minimize harmful bacterial growth in the juice, because it is unpasteurized. 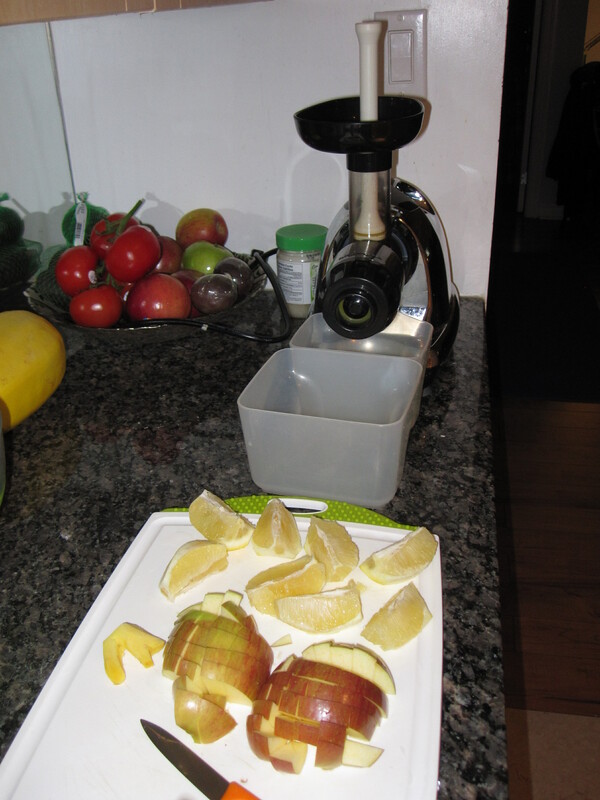 Anyhow, I believe that regular juicing helps me with my energy levels, my digestion and keeps me on track for the day (since I have ingested so many vitamins and minerals first thing in the morning, I find that I have less cravings). 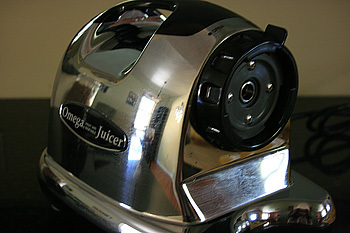 The juicer we bought was the Omega 8006. 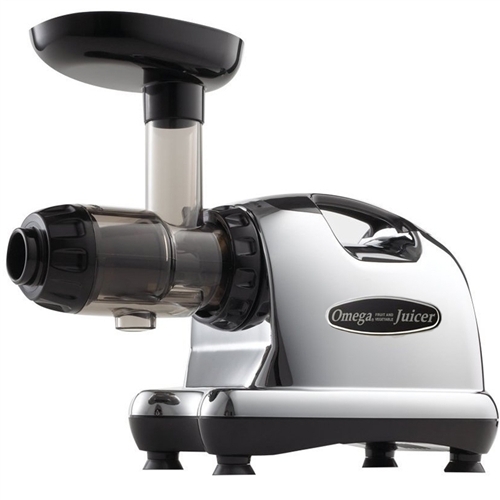 It is a masticating juicer which means it uses pressure to extract the juices from vegetables and fruits instead of a centrifugal juicer which uses a shart blade, and generated more heat (which is said to kill some of the nutrients and enzymes in the juice). 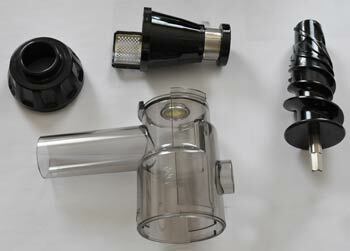 -The ease of cleanup – This juicer only has a small segment which needs to be cleaned regularily. 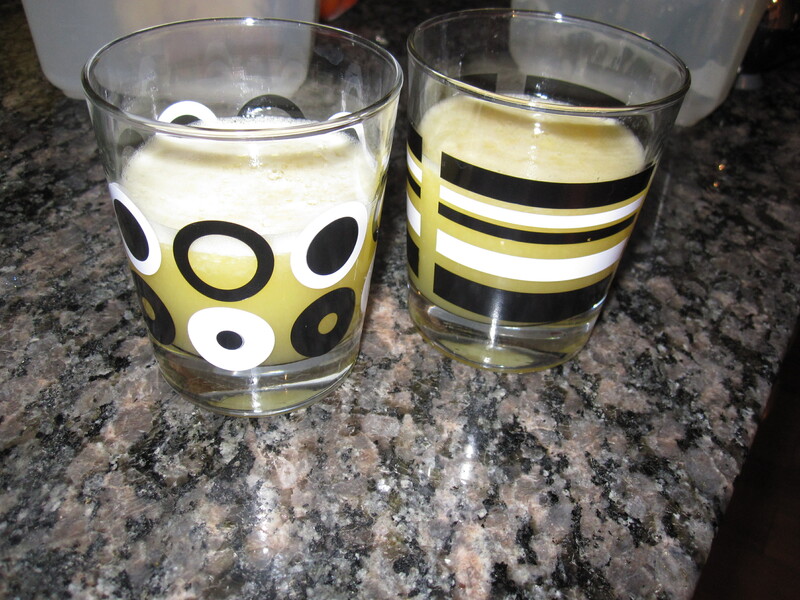 This juice contains a lot of lemon but is balanced by the sweet taste of apple. 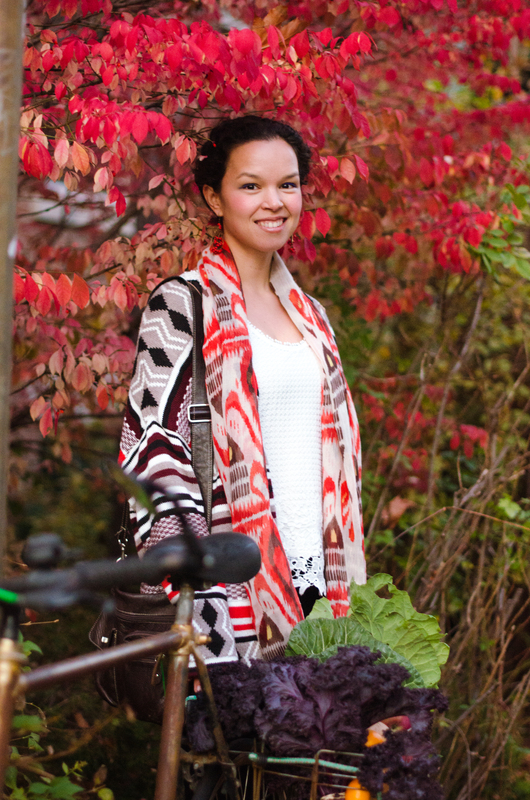 For a burst of flavour and to kick start your immune system add a knob of ginger. Eat a lot of fish? Did you know that there are small amounts of mercury in fish, which when ingested are very hard for us to get rid of? 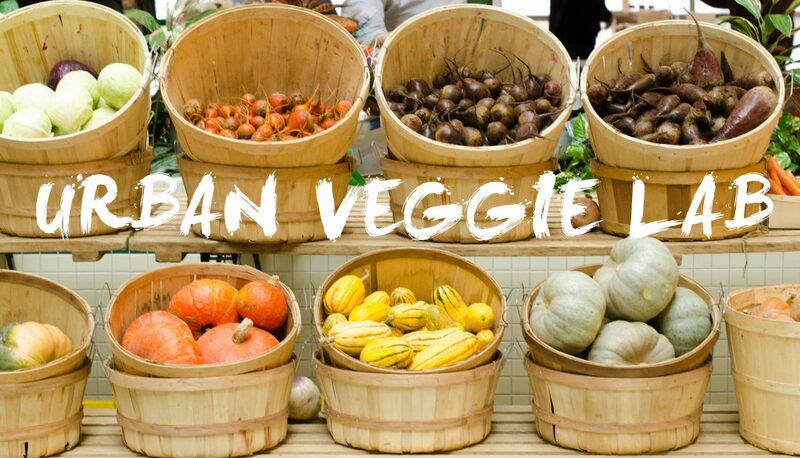 Luckily, parsley, among other veggies chelated to metals and aids in their removal. So drink up before heading to the sushi bar! Kale has recently been featured as a new superfood. It contains very high levels of vitamin A, vitamin C and a more than your daily intake of vitamin K. Vitamin K is important for blood clotting, as an antioxidant and for strengthening your bones. Kale also contains fibre which binds to bile, which helps lower cholesterol.